For a small island nation located in a remote area of the Indian Ocean, the Maldives has a history marked by Buddhist influences, Arab Traders and Portuguese invaders. There are Archaeological remains excavated in different parts of the Maldives that prove that people were living here as early as the third century BC but there are very few remains from this period. The first real information on Maldivian history is from the Buddhist times but even most of this information has been excluded from the history text. The period prior to the 1153 conversion to Islam is known simply as Jahiiya or the age of ignorance! However archaeological remains that include Buddhist Stupas and monasteries have been found throughout the Maldives since the 1800’s. The strategic importance of the Maldives location in the Indian Ocean and the fact that it lays in the direct route between the Middle East and the Far East is the main reason why early Arab Traders began stopping in Malé. With the importance of the Maldives as a trading destination, it was a logical step in the Arabs would convert the country to an Islamic Culture. The start of the sixteenth century marked the arrival of the Portuguese traders to the Maldives. The Portuguese took Malé in 1518 and effectively ruled with a lot of bloodshed in the intervening years until 1573. In 1887, The Maldives became a British protectorate even thought the British involvement in the Maldives dates back to the late seventeenth century when British trading ships operated under the East India Company. Over the next 150 years, many British ships were ship wrecked over the Maldives which encouraged the British to property map the Maldives during this time. The Maldives only became completely independent in 1965 with the tourism boom beginning in the early seventies. 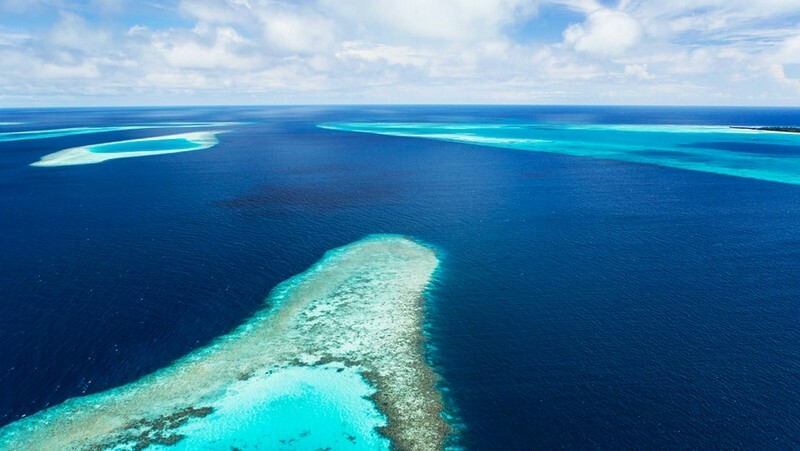 Today, the Maldives relies heavily on tourism and an expanding fishing industry. The Maldives today has a total population of 328,536 and inhabits 192 of the 1192 islands. Of these, 105 of them are resorts and the rest are occupied by locals. Outside the capital of Malé, the local islanders have benefited from better access to hospitals on the various atolls as well as a steady supply of electricity and the installation of a very reliable mobile phone network.